Does anyone have any fundamental research on Sugar they could point me to that might explain why we are at 30 year highs? Funny you would inquire. I was just looking at some sugar charts scratching my head. 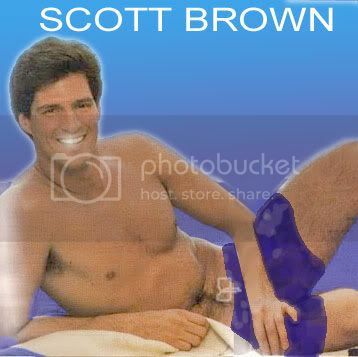 Is Scott Brown also Dr. Dan who now controls the fate of U.S. health care! The Dr. Dan commercial reminds me of one of my favorite childhood movies. The Incredible Shrinking Woman - love the opening scene. The line has been drawn. Get your popcorn for the show of self-hatred and sucking it up movie of the week. It's a wingohockingmoyamensinging freak show. Bad weather has hurt harvests in Brazil and India, two of the world’s biggest sugar producers. Also, Brazil has been increasingly devoting sugar resources to ethanol production, putting upward pressure on sugar prices. Here in the U.S., sugar production has been declining in recent years. The U.S. sugar stock relative to demand is less than half of what it was a year ago. I guess you could say that many of the reasons are mostly fundamental. Recently, I have heard alot of talk about funds buying sugar futures and such. Who are the major sugar producers and their production %? India, Brazil, U.S. ???? I know India has experienced severe drought but don't know what % of the total their production equates to. Is there a big push coming from the energy bill for higher yielding bio-fuels? FOX the EURO broke major support at 1.4260 and moved hard and fast. I caught about 60pips. Will look to reshort any retest from below or the short tick(50) frame rollover which is winding now. Thanks for the info. Just unclear if the primary driver is fundamental or liquidity based. I don't know why I attempt to rationalize these markets as they have simply devolved into a liquidity driven crack house of traders buying support and selling resistance. In 2009, India was no longer a net exporter. The important 27.30-50 area held, again, last Friday. That's where I dumped the shorts and just left it alone. Should of went long from that area, but oh well. Meanwhile, the British Pound continues to slide.